Brno is the second largest city in the Czech Republic as well as the capital of the Moravia region. There is hardly a better place to experience the authentic Czech culture, history and traditions than here. With all types of people, Brno brings an amazing variety to their food and restaurant industry too. Check out some of our top spots. Like many buildings in the city, Borgo Agnese carries Brno history within its walls. Inside is a piece of a 13th century church that once stood in place of this restaurant. It’s even considered a landmark for the city. Borgo Agnese has become one of the more popular spots for fine-dining, with many dishes of Mediterranean influence, from their fregoli with chicken, curry and raisins to their rabbit dish with tomatoes, pine nuts and olives. Sabaidy is a very different restaurant than can be found anywhere else in Brno. It sets out to serve authentic Thai and Laotian food at a great price. Based out of the Hotel Amphone, Sabaidy brings delicious and classic choices like tom yam kai si kath and pad Thai. The design of the restaurant is influenced by traditional Laos culture and even most of the staff are from Southeast Asia. Located in the center of the city, Soul Bistro provides delicious Czech food in an inviting and friendly environment. This spot has become a favorite with all generations. The fusion menu features dishes that use fresh and local ingredients. Their dishes range from fish and chips to pasta dishes, and some healthy salad options. There is also a wonderful wine collection and a friendly staff member can help you choose which is the best to complement your meal. The Restaurant Pavillon is a favorite for locals and any traveling foodies. The menu changes with the seasons to ensure the freshest taste. Each dish is filled with surprising and complementary fusions of tastes, like the jelenobot, a deer and octopus dish, as well as beads made with guinea fowl, mung beans and bacon. The wonderful view of the park adds to the great atmosphere of this restaurant. 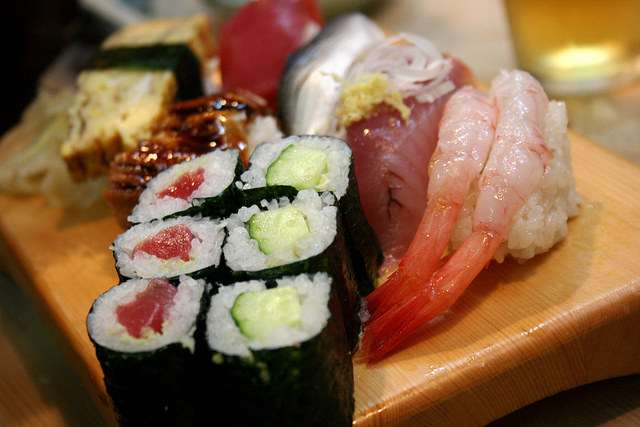 Koishi is the go-to sushi joint in Brno. This restaurant focuses on providing a menu full of authentic and fresh fish and sushi dishes, which are served Tuesday through Saturday. There’s plenty of options other than sushi too. The staff know their stuff and are happy to help, so don’t be afraid to ask questions about anything on the menu. Annapurna brings big tastes and bold flavors to a quaint restaurant setting. Everyone knows to head to Annapurna when craving delicious and satisfying Indian food. The portions will keep you full for hours, while the restaurant is known for its ridiculously affordable lunch specials and set menus. Located in the city center right near the main train station, Annapurna knows how to feed customers. The folk at inviting Simplé Restaurant strive to make creative combinations of ingredients to create a unique and unforgettable eating experience. The menu changes every week so they are able to choose fresh ingredients. Many of the dishes are inspired by traditional Czech recipes, then the chefs put their own unique twist on things. They pair different wines with each dish to create complementary tastes that one can’t find anywhere else. Watch out for: The degustation menu. Špaliček is one of the best spots when searching for a truly authentic Czech meal. The menu has plenty of traditional dishes with a collection of duck, rabbit, pork schnitzel, and plenty of other meats. The tavern atmosphere adds to the neighborhood feel along with the lively collection of locals found here. Watch out for: The goulash. The Tulip Restaurant has a great mixture of traditional Czech meals with other great European dishes. The menu has great salads and starters, but truly excels at their main courses, which range from beef tenderloin to veal schnitzel to mushroom risotto. You can’t go wrong with all the delicious options. This adorable restaurant earns its name with all the beautiful tulips that adorn the wall. 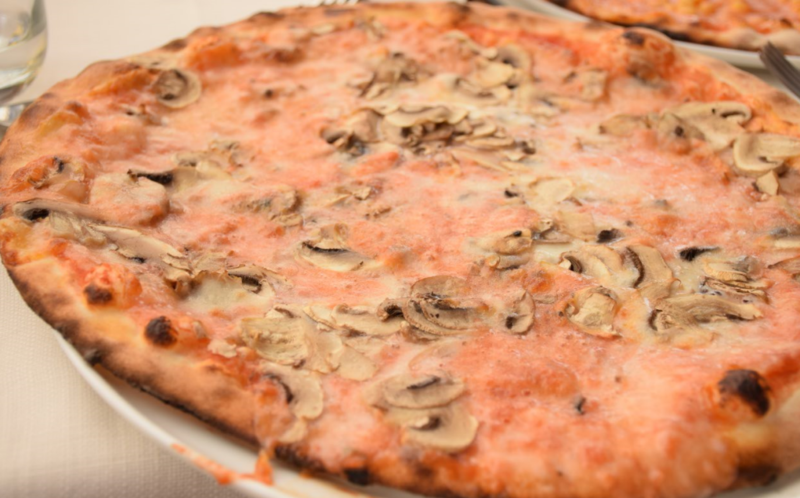 Everyone craves a great pizza now and then, and Ristorante Pizzeria Leonessa delivers just that to Brno. With nearly 45 different pizza options, there’s something for everyone. They also serve many delicious and fresh Italian favorites, so customers can choose from pasta, meat and risotto dishes. They even have a daily menu with seasonal dishes.